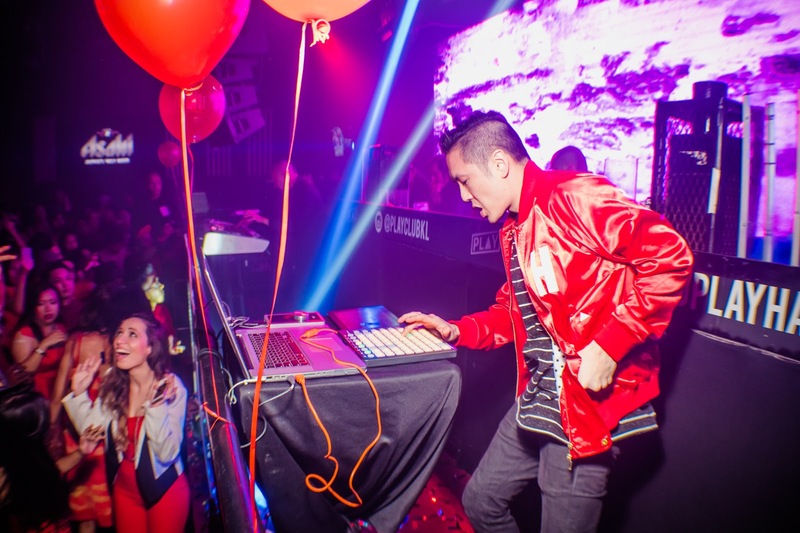 Home / fareastmovement / hoolabaloo / music / news / theroof / Far East Movement sets 'The Roof' on fire! Far East Movement sets 'The Roof' on fire! 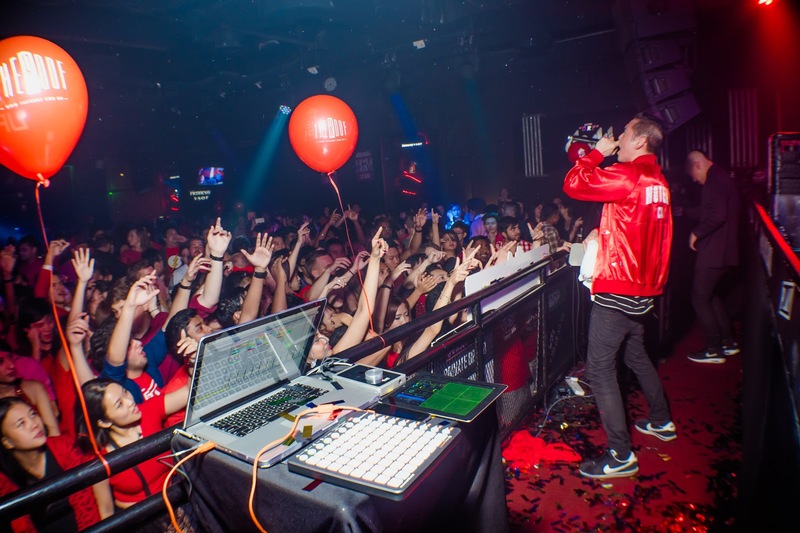 Los Angeles based hip hop-EDM group Far East Movement definitely got the crowds 'feeling so fly like a G6' at the PLAY club, The Roof last Thursday, 12 November 2015. 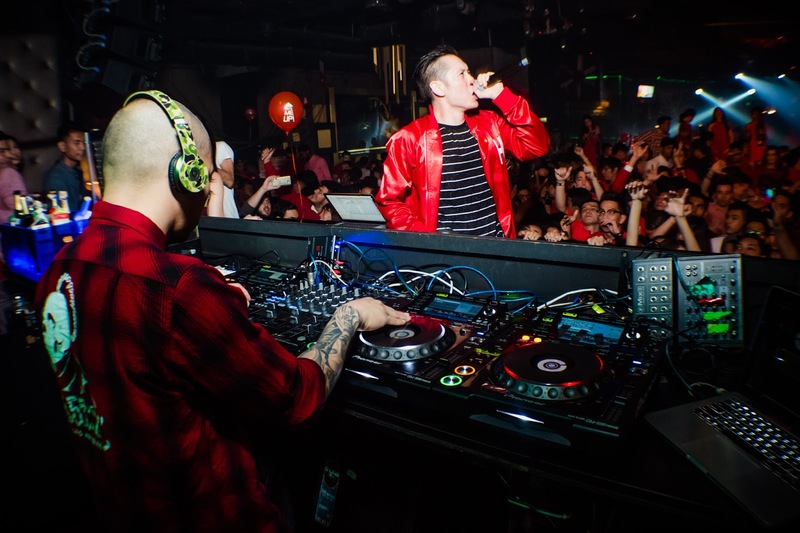 The trio consisting of Kev Nish, Prohgress and DJ Virman were down in Kuala Lumpur for The Roof's grand 2nd anniversary celebration which took place across all of its distinct eight outlets nestled on the rooftop of First Avenue, Bandar Utama. Clad in red in accordance with the night's theme, the throng of attendees were kept entertained with relentless upbeat music thanks to local DJs Kino Takamura, Jerryca Misty and rappers, Biggie and Joe Flizzow before the main act came on. 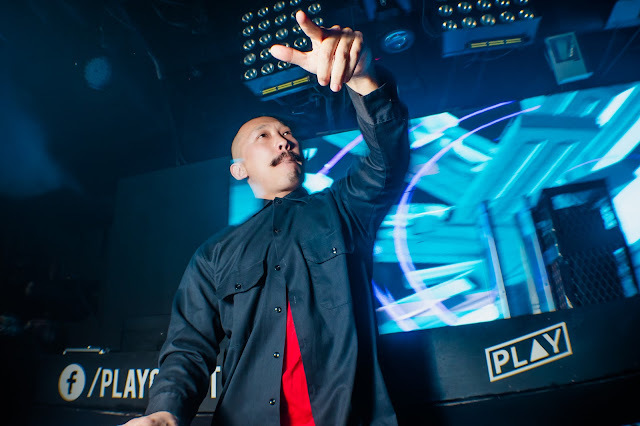 Lending some local vocals to the night, rapper SonaOne also made a suprise appearance during Joe Flizzow's set as the duo got the crowd rapping along to his hits, "Apa Khabar" and "Baek". When Far East Movement finally took to the deck at PLAY around 1AM, the eager crowd lapped up the hits played by the trio (aided by uber cool visuals of course! ), staying on for the entire set til almost 3am in the morning despite it being a working day in a few hours time. SonaOne and Joe Flizzow getting things started. Prohgress is all about getting the party progress going! Kev Nish totally in the zone that he missed the epic reaction of a fan (bottom left). Among the big hits played were, "Like a G6", "Rocketeer", "Turn Up the Love", "Get Up (Rattle)" and many more popular tracks by other artistes which were given a unique spin layered by midi synths and dubstep remixes courtesy of the group. Not only did the Asian sensations get the sea of red party goers jumping to their songs, there was also a giant rubber duck and a crowd-surfing Prohgress to boot, which certainly was unexpected. With high energy levels blowing off the roof, of well - The Roof - it is no wonder the group was asked to come back to play in Malaysia after only two short years from when they first made their Malaysian debut during the MTV World Stage Live 2013 at Sunway Lagoon. 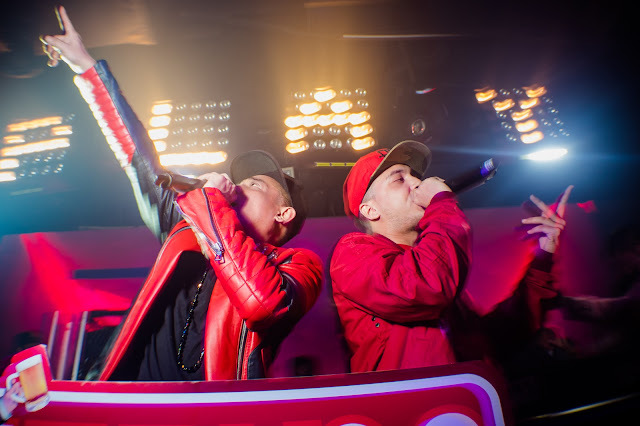 One of the more notable events of the anniversary celebration was also the launch of a new venue within The Roof; HIDE, held earlier in the night. Taking up a sizable space of 6,000sqf previously occupied by Signature (which now occupies the space behind HIDE), HIDE is a lounge concept with a cavernous space that houses a 360° island bar. The place will be able to accommodate a variety of live entertainment acts like live bands and DJs. Kev Nish shows off his vocal skills to the hyped up crowd.